Full crown, professional laser welded diamond core bits with high diamond concentration are especially designed for handheld applications. The crown segment provides better cutting comfort, resulting in better accuracy when starting to drill. All core drilling machines with a 1/2” (F) connection. Current RIDGID® models: HC-2, HC-2W, RB-3W. 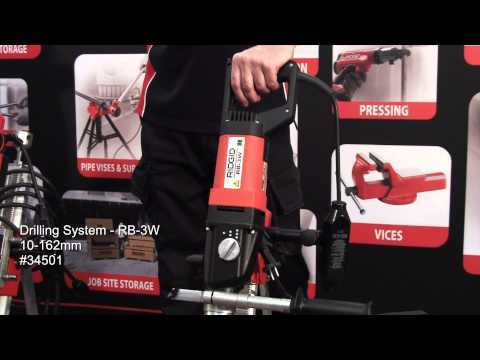 Previous RIDGID® models: RB-204, RB-125. 52066 13 3/4 350 1/4 x 1/16 in. 52076 13 3/4 350 1/4 x 3/32 in. 52086 13 3/4 350 1/4 x 3/32 in. 52096 13 3/4 350 1/4 x 3/32 in. 57296 13 3/4 350 1/4 x 1/16 in.